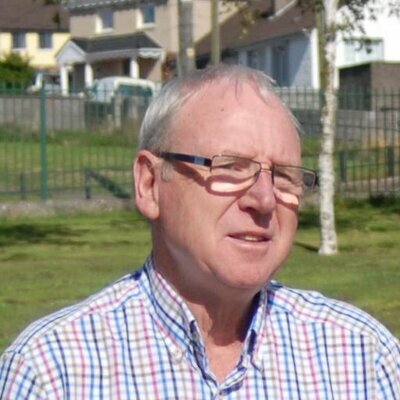 Councillor Ted Tynan is one of the best known and longest serving local community activists and campaigners in Cork. He has been deeply involved in countless local campaigns for the rights of ordinary people over the years and, as a socialist, he believes that workers and their families must come before private profit. The list of issues and campaigns Ted has played an active role in is impressive – from the Cork Housing Action Committee of four decades ago to the Anti-War Movement, campaign to save the Glen River Valley, health campaigns, Free the Old Head of Kinsale, and many, many more. He is a long time opponent of double taxation, from the service charges of the 1980s and ‘90s to the anti- water charges and smart metering of today. Ted was among a number of Cork householders jailed in the 1990s for their opposition to service charges. He has an unparalleled record in fighting for ordinary people on issues that matter. Ted was elected to Cork City Council in 2009 having served an earlier term on the council in the 1980s. He was re-elected to the council in 2014 having doubled his vote. He came within 9 votes of topping the poll in the North East ward where he polled over 20% of first preference votes. Ted is one of the most widely respected public representatives in Cork. On the City Council he has been an outstanding representative who has stood up for working class people and against austerity.